Television sets inexplicably turn on and off. Visitors who enter his room complain of sudden migraines. Rapping sounds keep him awake at night, and psychics warn he is being stalked by ghostly apparitions. In Tanishi Matsubara’s tales of living in apartments with grim histories of murder, suicide and lonely deaths, morbid humor often gives way to outright terror. Call it bad taste, but the bespectacled 36-year-old comedian’s peculiar preference for so-called stigmatized properties lets him save on rent. Landlords often offer discounts to tenants willing to take properties with past troubles. It also has helped establish his career in showbiz as a reckless entertainer who does not mind sharing a flat with a spirit or two in exchange for a good story. In a country with strict gun laws and a famously low crime rate, insights into the sordid pasts of certain properties are sought after, not only among the superstitious who prefer to stay away. There are also bargain hunters for whom a dwelling’s reputation for being haunted acts as a welcome mat. There’s even a popular website featuring an online map showing properties with histories of ghastly events — a landlord’s nightmare come true. Matsubara first knowingly set foot in such a property in 2012 for a segment of a television show. He rented a one-room apartment near the center of Osaka for ¥45,000, roughly two-thirds the going rate in that area. Several years before, a gruesome double-homicide in one of the apartments there had made national headlines. 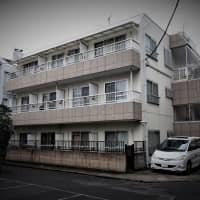 While the studio Matsubara rented was not the one where the crime took place, the bargain applied to all the flats in the mansion. “I wasn’t scared of living there, but there was a sickening feeling knowing what had happened,” he says. Matsubara set up a fixed-point camera in his room to catch any uncanny phenomena on tape. From day one, the footage showed orbs — microscopic particles floating in the air that, according to the paranormal community, show the presence of spirits. After a week, the video camera captured an object that looked like a white towel gliding past Matsubara. 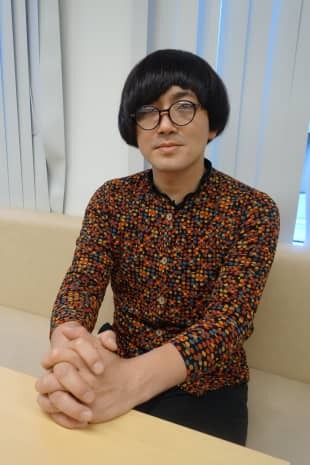 The next day, as he was about to get on his bicycle, Matsubara says he was struck by a black sports car at the entrance of his apartment, suffering only minor bruises. But later, he met a former resident of the complex who had been involved in three similar mysterious hit-and-runs — right in front of the same building. 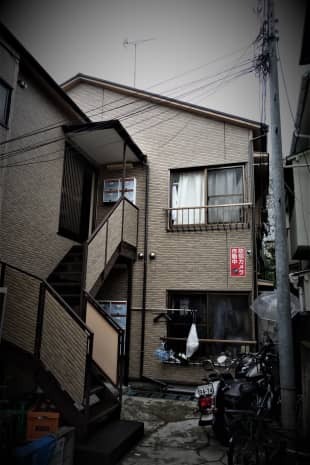 Matsubara next moved to a two-room apartment in a different area of the city where a murder had taken place, and for which he only paid ¥26,000 to rent. His agent, though, refused to disclose any further details about the incident, citing privacy. Matsubara found bloodstains under one of the tatami mats and noticed that the mirror in the bathroom was smeared with pink paint. “I shared that apartment with a fellow comedian, so I never felt really intimidated,” he says. That’s not to say nothing odd ever took place. Letters and packages went missing from Matsubara’s mailbox and he occasionally noticed the doorknob being turned. He heard gurgling noises — as if someone were speaking underwater — that had been recorded in a voice message left on his mobile phone. An acquaintance later complained of receiving similar incomprehensible messages from Matsubara, who didn’t recall making the calls. He learned about what unfolded at his flat one day while eating lunch at a local restaurant. The owner of the eatery, after pinpointing where Matsubara was living, informed him that a man in his 20s and his mother used to reside in the same apartment. The son was arrested for severely beating his mother and drowning her in the bathtub. What really spooked Matsubara, however, occurred after he moved out. In 2016 he read that a hammer-wielding stranger had assaulted an Osaka woman in her 60s. The suspect turned out to be the same man who had been arrested for matricide three years earlier. Authorities had dropped the charges against him due to psychiatric issues and he was living in a group home for the mentally ill when the attack took place. “I realized that it could have been him, the son, who had taken my mail and tried to open the door to my apartment,” Matsubara says. While the Real Estate Transaction Law requires realtors to inform prospective tenants of important matters involving previous residents, it doesn’t explain what these specifically include, says lawyer Satoshi Mihira. Legal precedents suggest that concealing the notorious history of a property could expose landlords to liabilities, and the common practice among agents is to inform renters about deadly events that took place for a period of at least two years following the incident, or to the very first tenant moving into such a property. Many landlords, however, prefer to conceal the tragic histories of their properties to protect their value. Mihira says he occasionally consults renters and buyers who discover such “psychological defects” after moving into a property. 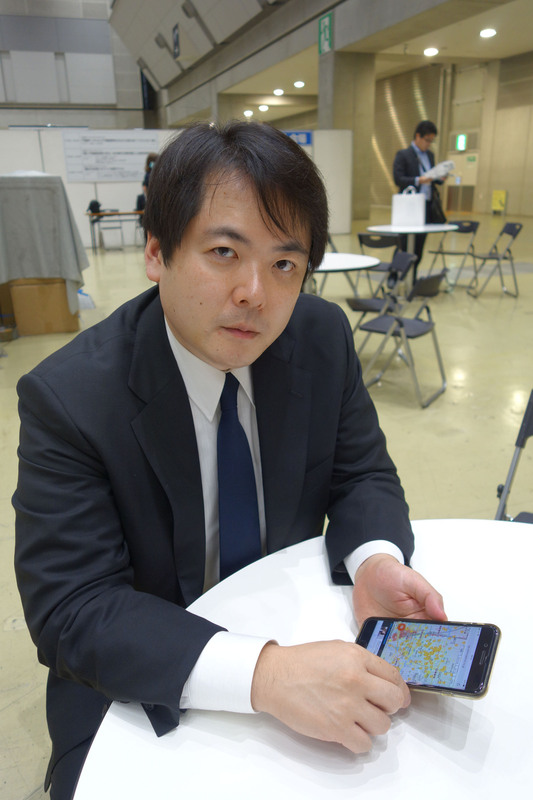 He says in many cases, they find out through Oshimaland, an unusual real estate website run by Teru Oshima. “It’s become a very powerful tool in terms of finding stigmatized properties,” Mihira says. 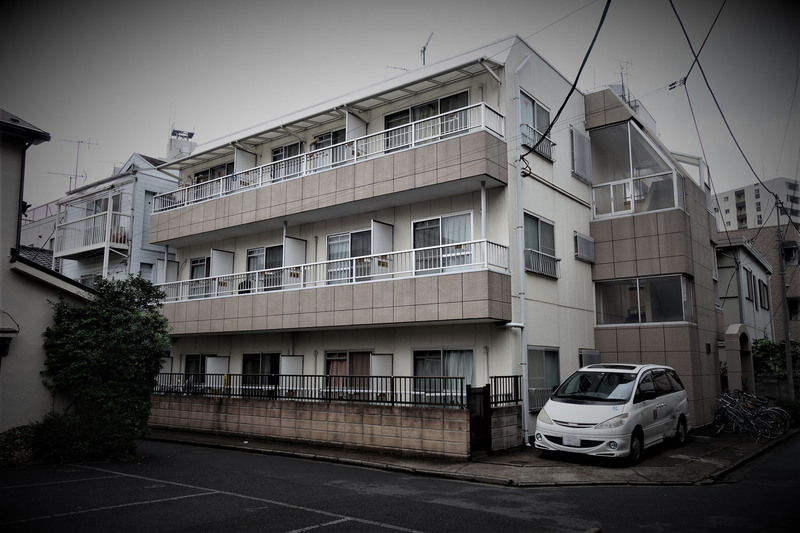 Oshima, who is something of a cult figure among fans of the macabre and those in the realty business, used to conduct background checks on properties he was interested in acquiring for his family’s real estate firm. More so than inspecting properties for physical defects, gathering knowledge on past residents turned out to be a greater challenge. He initially relied for information from newspaper reports, court proceedings he sat in on and tip-offs from people in the industry. Then, in 2005, he launched a website open to the public to contribute snippets to. The site now has over 45,000 fire icons in Japan alone, one for each unnatural death that took place at a property. In recent years Oshimaland has gone global, posting stigmatized properties in countries including the United States, China, South Korea, India and across Europe, although the numbers in those countries remain comparatively small and concentrated in big cities. The site attracts 700,000 to 800,000 page views a day. It employs a Wikipedia-like format, with Oshima and his staff monitoring the flow of postings from trusted sources and other contributors. Many include photos of properties and visitors can use the comment function to disparage the information or to post articles backing it up. “Who would care whether a property is stigmatized or not in crime-ridden countries like Brazil and South Africa, where people are killed year-round?” he says. In 2016, the latest year for which numbers are available, the National Police Agency counted 330 homicide cases — compared with over 60,000 in Brazil. Japan’s numbers are higher for suicides — which, according to the NPA, numbered 21,321 in 2017. In the same year, 985 died in house fires, according to the Fire and Disaster Management Agency. Buyers and renters are also getting the upper hand over vendors as the nation ages and the population shrinks, creating an ever-increasing pool of uninhabited houses, Oshima says. The Nomura Research Institute foresees the number of abandoned dwellings growing from 8 million in 2013 to 21.7 million by 2033 — roughly a third of all homes in Japan. “When there’s so much choice, why would people go out of their way to live in stigmatized properties?” Oshima asks. House-hunters like Matsubara, however, are attracted by the cheap rent and, perhaps to a lesser extent, the novelty. The government-affiliated Urban Renaissance Agency offers up to 50 percent discounts for one or two years on monthly rents for some properties where previous occupants were found dead. 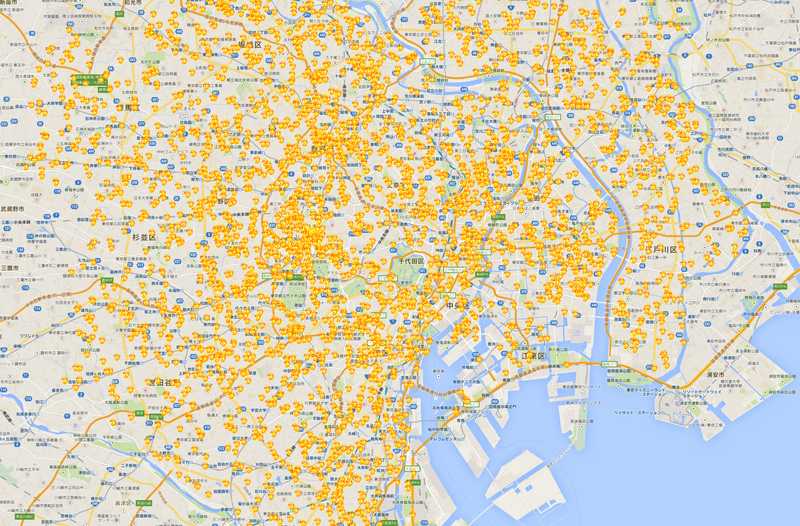 It currently lists nearly 130 across Japan, with 41 in and around Tokyo. A spokesman for UR, which maintains around 75,000 housing units nationwide, says there is steady demand for properties that meet the special criteria. Yuki Yoshida, an author of books on urban legends and unsolved mysteries, says interest in the subculture may be attributed to the mild sense of unease accompanying moves. Matsubara currently rents two apartments. He maintains one in Shinjuku, Tokyo, where a man in his 50s hanged himself and another in Osaka that was the site of a lonely death by natural causes — an increasingly common phenomenon in a graying nation with a growing number of single households. He spends many months of the year on the road, however, traveling to purportedly haunted or cursed locations both in Japan and overseas, live-streaming his escapades via smartphone. “I think I’ve developed some resistance against ghosts and spirits by living in stigmatized homes,” he says. The experience has also instilled in him a philosophical view of life, he says, a perspective he is still trying to fully grasp. “Every property comes with its own history and stories of people who were once alive and well,” he says. “It reminds us of how life is finite,” he says. Does he plan to continue living in stigmatized properties? “Yes, of course, unless I eventually get bored,” he says. So far, his adventures have been rewarding. A book he released in June chronicling his experiences became a surprise hit and it is now in its 15th print run with 75,000 copies in circulation.